Mosquitoes love my blood, so creating a zero waste bug spray was a high priority this summer. I'm sure many of you can relate: You're sitting outside, enjoying the summer evening, and before you know it, you're covered in bug bites. And worst of all, they itch like mad! Not sure about you, but whenever I get a mosquito bite, it starts out small, then swells up like a big balloon on my skin. It's so uncomfortable and disgusting. But worse yet, there's very limited zero waste, all-natural options for bug repellent on the market. Unfortunately, most store-bought bug sprays contain DEET (N,N-diethyl-m-toluamide) - try saying that three times. In studies on rats, prolonged DEET exposure led to diffuse brain cell death and behavioral changes. The study concluded humans should stay away from it as well. However, other studies have shown that many people are fine when they use DEET products on a sporadic basis. That's all well and good, but I don't like to take chances with my own health. I'd rather eliminate the risk altogether and stick to using something natural. Plus, lets face it, making your own insect repellent is way cheaper. Who wants to spend X amount of dollars on one can of bug spray when they can buy ingredients that make them multiple cans of bug spray? Here's how to make your own all-natural zero waste bug spray. This zero waste bug spray takes about two minutes to whip up. It's super simple to make. For the ingredients, you can buy the apple cider vinegar in a glass jar. Search around and you can probably find the witch hazel in a glass jar too (I linked to witch hazel extract below, which is fine to use in this recipe and goes in glass). Tea tree oil is sold in a glass jar too, and is very yielding so you'll have it for a while. 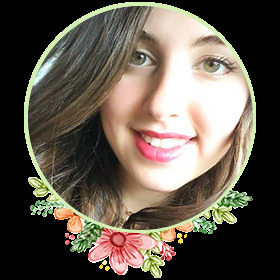 Also, just to talk about the ingredients I chose for this recipe a bit: Apple cider vinegar helps to smooth your skin, even reducing oiliness and fine lines. Witch hazel has also proven helpful to the skin by combating acne, oily skin, redness, skin sores, sun damage and so much more. Tea tree oil is a natural mosquito repellent and can even be used as treatment for any mosquito bites that sneak in (just apply some to the affected area for immediate relief). You can rest assured these ingredients are safe to use on your body, unlike conventional bug spray. I also recommend using a glass spray bottle or a aluminium spray bottle to hold your bug spray. 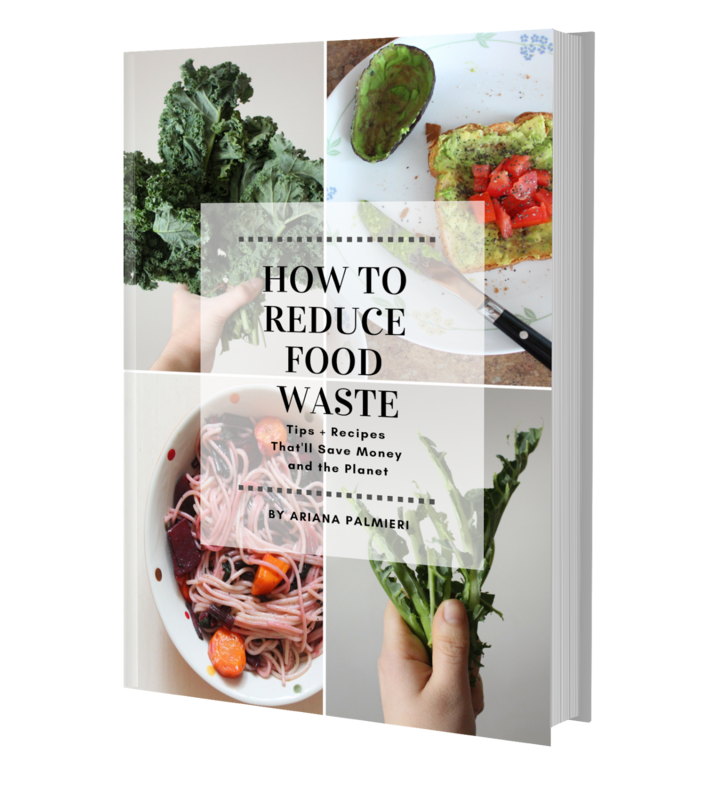 I personally used an aluminum spray bottle for this recipe. 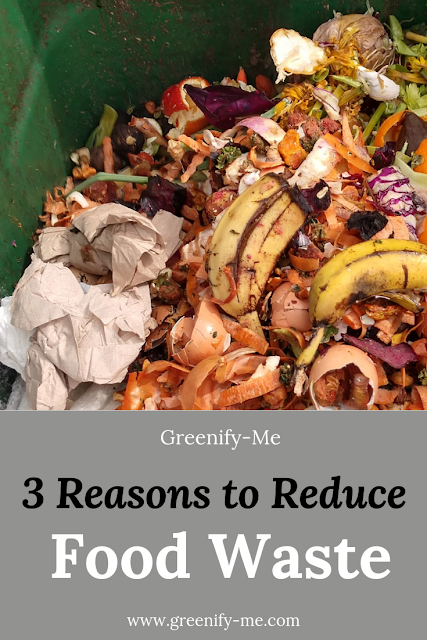 The oils can eat away at plastic, so using a plastic spray bottle isn't the best option. Plus, plastic in general can leach toxic chemicals into most substances, and it's best to avoid that. 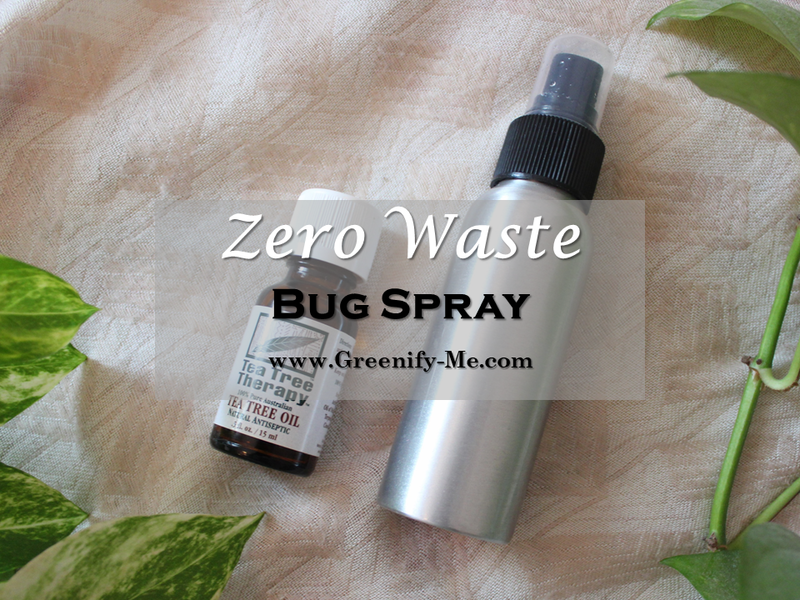 If you'd like to label your zero waste bug spray, feel free to get creative. I didn't bother labeling mine, as I would like to use the spray bottle for other DIYs in the future. Note: If your spray bottle is bigger, feel free to double the ingredients to make more, as needed. Mine is about 4 oz. Using a funnel, pour the witch hazel and apple cider vinegar into the spray bottle of your choice. Add in the drops of tea tree essential oil. Screw the top back on and shake to disperse. Spray all over your body but avoid eye and mouth area. I can happily say this stuff works. I tested it out at the park the other day and successfully came back with no mosquito bites. 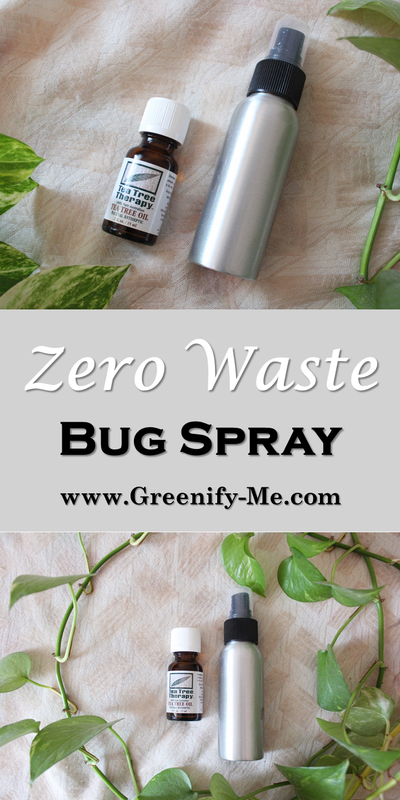 I even saw a bug flying towards me and do a FULL 360 when he caught whiff of my zero waste bug spray. That's right - take that bugs! Do you get bitten up by mosquitoes in the summer time too? What are some methods you use to ward them off?